Are you in need of a tree surgeon in Manchester? Or maybe you need tree removal in Manchester? Further still, maybe you’re not sure if you need tree surgeons in Manchester to help make your yard look amazing. Many people contemplate hiring a tree surgeon but aren’t quite sure if it’s necessary for their property. Here are a few reasons why you might want to hire a tree surgeon for your property. Maintaining your landscaping is not hazard free. Your maintenance and pruning process can be dangerous if you’re untrained. 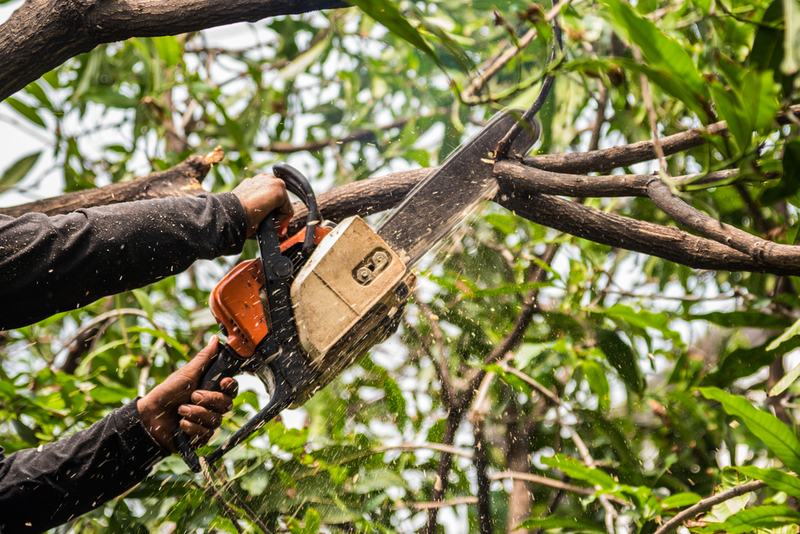 Tree surgeons use proper safety equipment to ensure that your property stays safe as well as you. They are also cognizant of pets and children and avoid risky maneuvers as they work. Instead of risking your own safety and your property’s, you should hire a tree surgeon in Manchester to handle it for you. 2. To remove trees for you. Moving trees isn’t as easy as it sounds, and should only be done if it is absolutely necessary. But if it is needed, it should only be done by a professional. Planning the appropriate time of year to do so as well as examining the tree to ensure it is healthy enough to move, should be a top priority. Trees are always susceptible to diseases, and if one tree catches an illness, your other trees could be at risk as well. To prevent serious issues from arising, we highly recommend your trees receive an annual or bi-annual inspection. A trained eye can spot serious issues early on. Tree pruning isn’t as easy as you might suspect. If your tree is close to a home, has undergone extreme storm damage, or if it is simply just in need of basic pruning, it is always best to hire a professional to tackle your pruning needs. When your trees grow too large, it’s time to do something about it, and we can help. If you’re ready to hire a tree surgeon in Manchester, give our team a call. We’re happy to help with all your tree surgery needs.